Thupparivalan actress a part of Vijay Deverakonda film! Plagiarism case: International director moves to court! A kingdom called Rathanpur was taken ruthlessly by a feudal lord named Bhairav Singh. The princess of that empire was in a hopeless situation until a maverick cop named Sardaar Gabbar Singh came along. Sanjay Sahu (Pawan Kalyan) is a happy-go-lucky type youth. Bhagyamati (Ileana) falls in love with him and Sanjay accepts her proposal after waiting for a while. A hitman invites the wrath of his boss after beating the latter's son to death for killing an innocent woman. Madhu and Siddhu are two people whose paths keep intersecting through out their lives. Abhishikth Bhargav: Behind every comfort humans seek, there happens a mini-sized war. 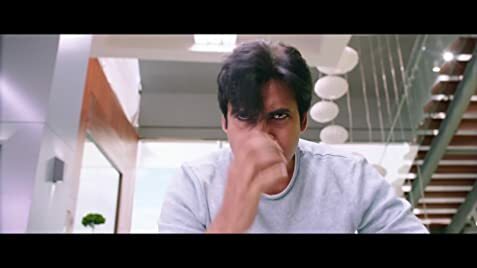 The most hyped Agnyathavasi was trembled at box office because of slow narration and boring screenplay. Although pawan kalyan was best in his acting, the screenplay made him look dull. On a while the viewer feels that a short story is dragged for two and half hour movie and test ones patience. Music is average. Two heroines are present just for songs. Lame comedy scenes at times. Attarintiki Daredi traces can be seen as kushboo in place of nadia, koteswararao in place of brahmi character. Unnecessary and unbelievable fights, Unnecessary production costs. Overall it is clearly out of sankranti race.